I have been wanting to move my site to a cleaner and simplistic design because I felt my old site was just too cluttered and slow, I saw this layout on Squarespace and knew this is what I wanted. I’m sure people visit my page just to look at the art with minimal clicks and without all the extras so I’m hoping this new layout does just that. You’ll have to excuse the small gallery at the moment as I am currently uploading everything. I’m also working on several projects, some I can show and some I can’t. 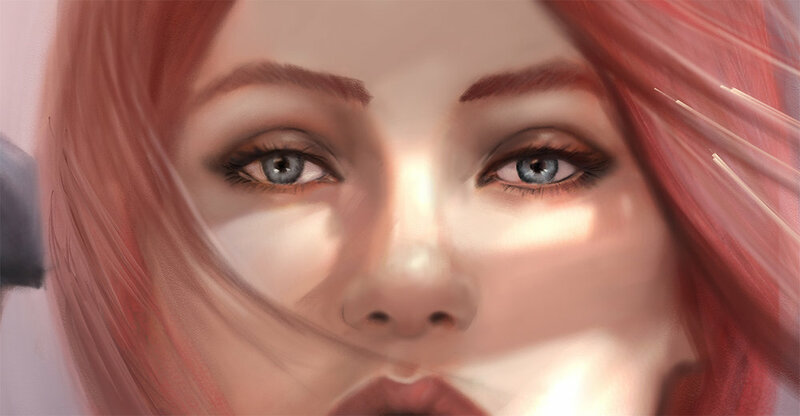 I can show this progress shot of a book cover I’m working on though!